Toilet Not Working? Try Toilet Repair! Any type of toilet repair problem can cause a disgusting mess and easily ruin your day. From minor issues like a toilet that runs continuously to bigger issues like leaks that can cause serious structural damage in your bathroom, toilet problems should never be overlooked. 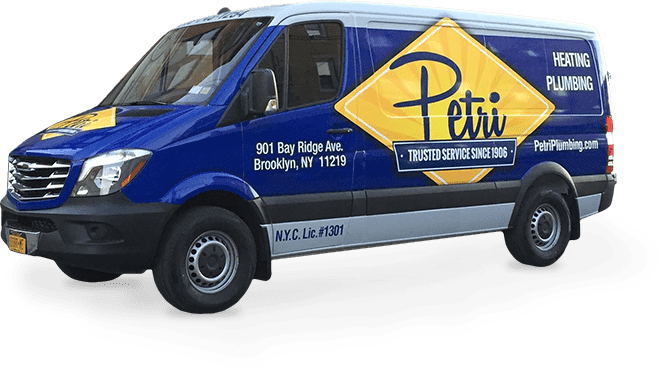 No matter how large or small the job may be, the Brooklyn plumbing professionals at Petri Plumbing can handle it! In most instances, toilet leaks occur as the result of a wax seal that doesn’t properly seal. If you’re seeing water pooling around the base of your commode, this is the likely culprit. Supply lines may also leak. There are several components inside of a toilet tank, and some of them can make a toilet bowl not flush. Proper toilet repair can have the toilet flush like new again. A toilet that runs non-stop is annoying, but it can also cost you a lot of money. Without toilet repair, it’s like you’re flushing money down the toilet! Usually, this problem is pretty easy to fix by repairing the toilet’s inner workings. Toilet clogs can cause backups and serious damage in your bathroom. A plunger is often all you need to take care of a clogged toilet, but if that doesn’t do the trick, you need help from a professional plumber. At Petri Plumbing, we offer a full range of Brooklyn toilet repair and replacement services. From drain cleaning and minor repairs to major repairs and toilet replacement, we do it all! If your current toilet is nearing the end of its lifespan, or even if you’re just tired of spending too much on your water bill, we can replace it with a new model that uses less water. Today’s high efficiency toilets are dependable, and they drastically reduce water consumption and lower water bills. Toilet repairs can add up over time. Just like any other product, sometimes it is better to replace and upgrade your toilet rather than perform toilet repairs. Even if a toilet is not broken, it can make sense to do a toilet replacement. 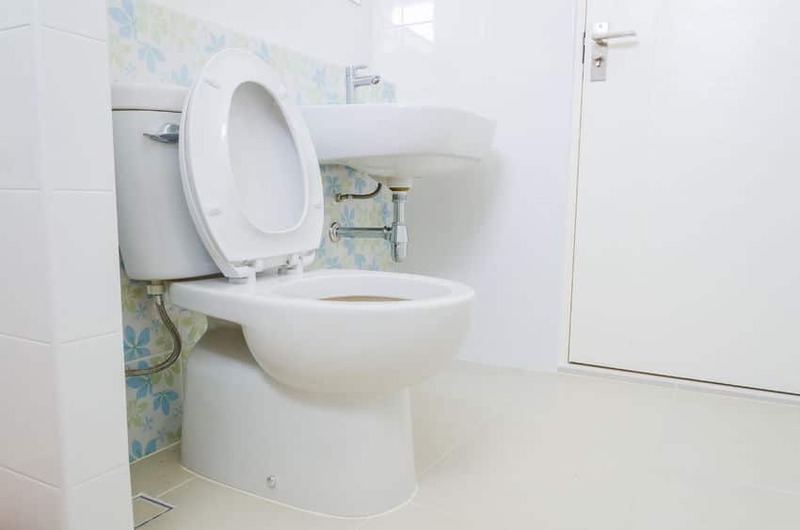 An updated toilet installation can save you money with its high efficiency rating! 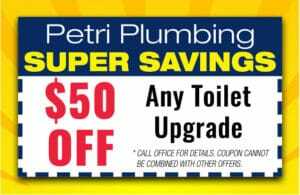 If you’re having a problem with your toilet, contact Petri Plumbing today by calling 718-748-1254.